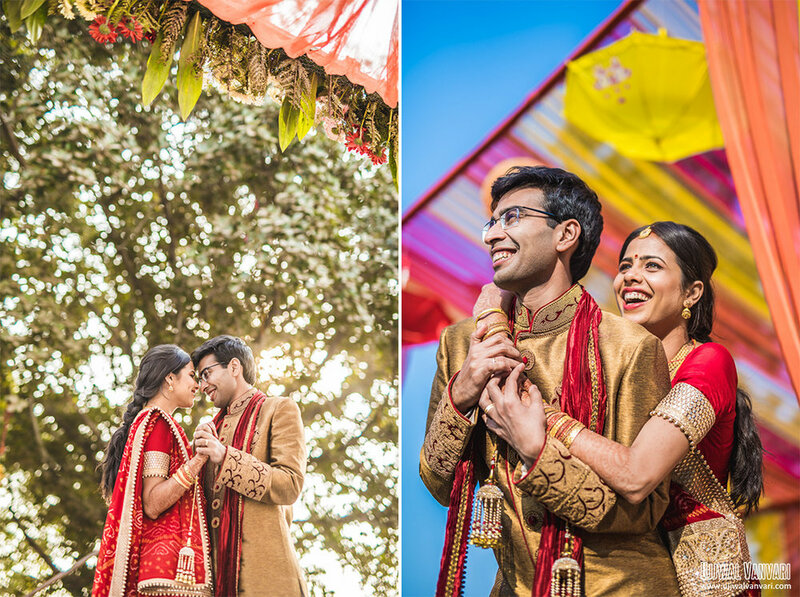 We are a wedding photography and film team in Delhi and Gurgaon, we have been documenting weddings since past 5 years and nothing gives us more joy than the love and chemistry between the couple. This wedding was a treat to photograph for sure. 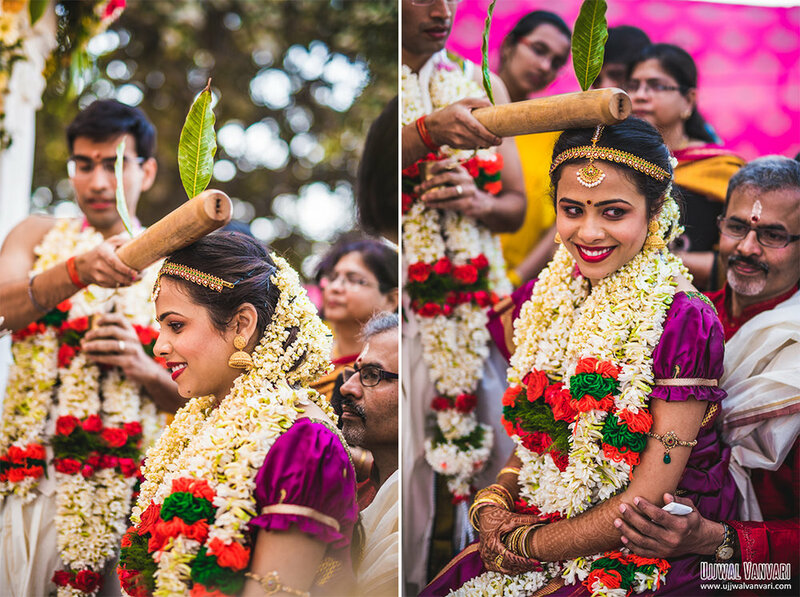 This couple fairly managed to agree their families on a cross tradition wedding and so it was a traditional tamil-brahmin wedding in 'Dilli'! 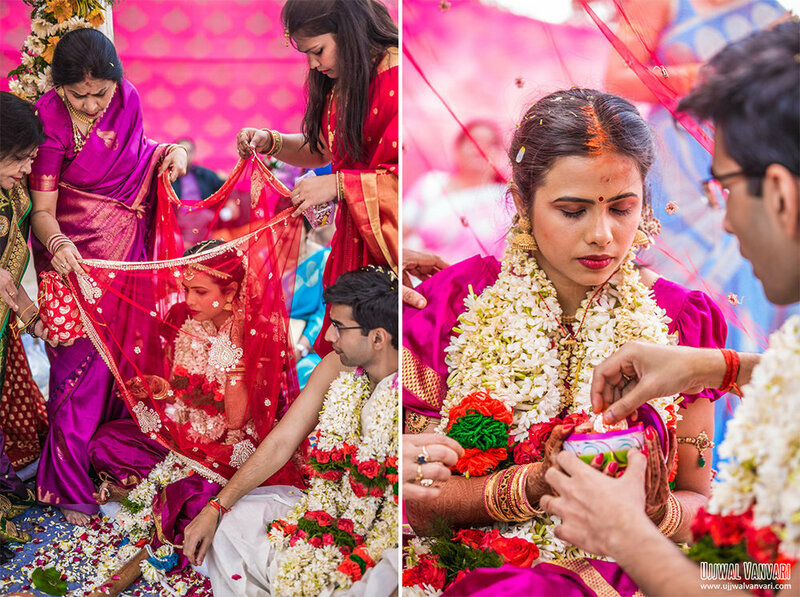 The gorgeous duo got married in a three-day celebration starting with a sangeet & cocktail party. The guests grooved to beats of bollywood hindi Dance numbers - 'Saddi Galli', 'Dilli waali girlfriend' and not to forget..'Lungi Dance' ;) . The night was full of delicious food , dance and drinks. The couple had a terrific chemistry and love was in the air and that’s one of the best part about this wedding. Next day was a relaxing day for the guests which I would say was very thoughtful of the planner . 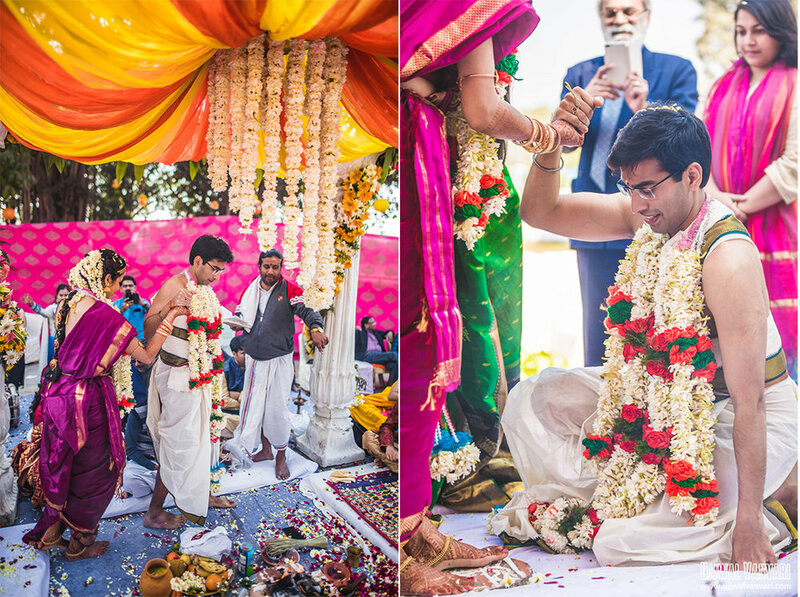 Following day was an unforgettable experience of the serenity of a beautiful Iyer brahmin wedding during the fresh & tranquil hours of a February morning ! One of the perfect weddings I had shoot in years. Wishing our gorgeous couple a happy married life. P.S. Don’t forget to scroll to see our favorite moments from the wedding. 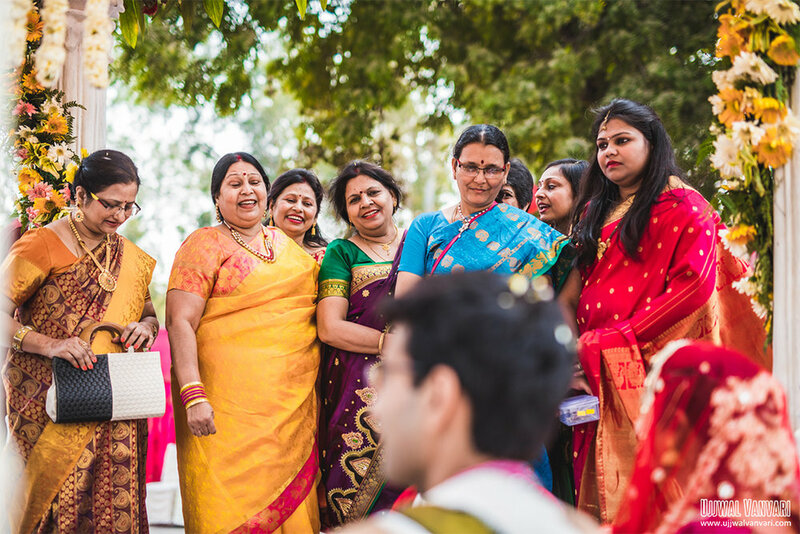 As wedding photographers, we've been lucky to witness some amazing weddings and got to know some amazing people and their love stories in various parts of India like Delhi, Gurgaon, Jaipur, Lucknow, Udaipur, Mussoorie, Chandigarh etc. 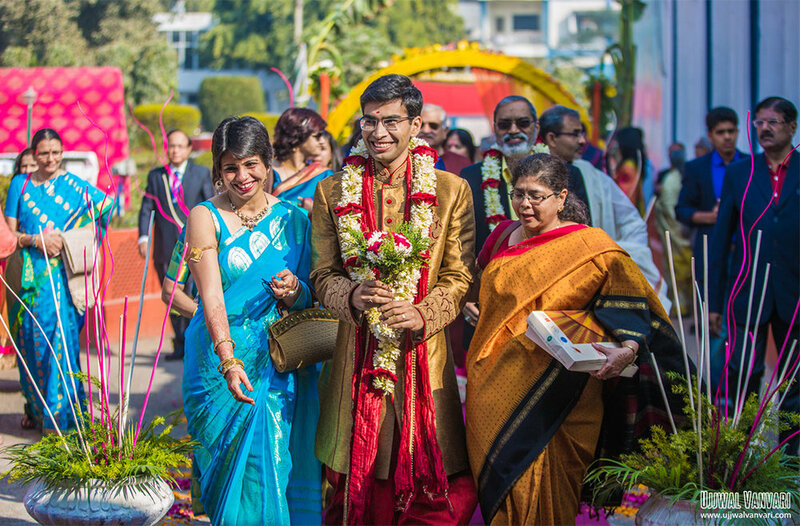 This one was a Delhi destination wedding, read many more such amazing wedding stories on our blog and understands why we're one of the best wedding photographers in Delhi and Gurgaon.